Six elections monitors who took part in a delegation to observe the Turkey general election last weekend have returned to the UK after a stunning result took the pro-Kurdish HDP into Turkey’s national assembly for the first time. The group has reported that it witnessed no violations on the election day but was able to clearly observe palpable tensions among the public in Diyarbakir and Gaziantep, where the delegation was based. 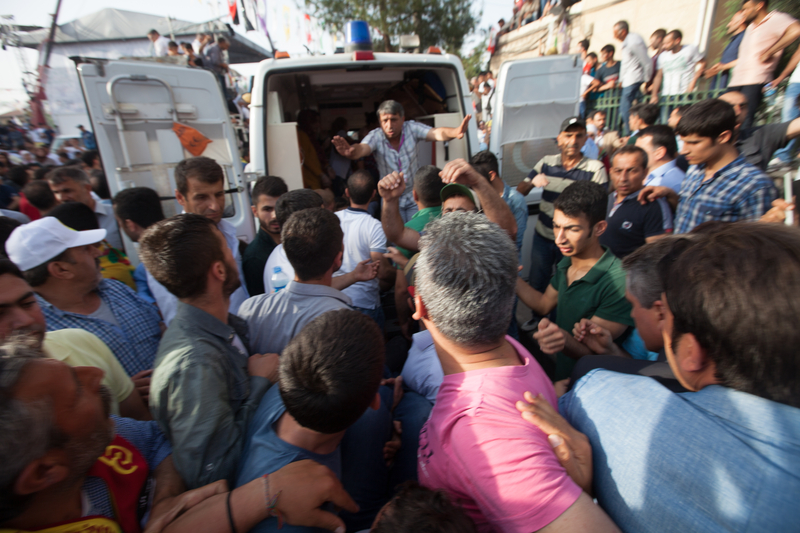 On the Friday prior to the vote, an explosion at the HDP’s last election rally killed 3 people. Two days after the election, three HDP members were also shot dead at a coffee house. The delegation included: Sean Hawkey, official representative of the Green Party for England and Wales; Melanie Gingell, human rights lawyer; barrister, Doughty Street Chambers; Dr Thomas Jeffrey Miley, Lecturer in Political Sociology in Department of sociology at Cambridge University; Bronwen Jones, family and immigration barrister at Mansfield Chambers; John Hunt, Journalist, writer, and editor; Dr Austin Reid, consultant in international university development. Sean Hawkey captured much of the delegation, including the aftermath of the explosions in Diyarbakir last Friday as well as the celebrations, in a fantastic photo series which is available to view here. The recent election in Turkey marked a historic turning point for the country. As members of a delegation from Britain of lawyers, academics, human rights advocates and journalists, we had the opportunity to witness this vital election in the cities of Diyarbakir and Gaziantep. During our five-day trip to these cities, we spoke with Human Rights activists, representatives of trade unions, and met with and accompanied activists and candidates of the HDP in visits to hundreds of polling stations on election day. Political tensions ran high across the Republic during the campaign, in the run-up to an election that was interpreted by many as a referendum on President Recep Tayyip Erdogan’s ambitions to further tighten his grip on power by introducing a new constitution to convert the Parliamentary Republic into a Presidential regime. The stalling economy, and rising unemployment, certainly did not help Erdogan. Even more damage was done to the President and his ruling AKP by the influx of Syrian refugees, not to mention the role played by the Erdogan government in destabilizing the neighboring Syrian state. Perhaps even more important than all of these highly salient issues, the election constituted a critical juncture for the fate (1) of Abdullah Ocalan, (2) of the long-stalled peace process with the PKK, and (3) of the prospects for political compromise on the main grievances articulated by the Kurdish movement. The Kurdish movement in Turkey has evolved dramatically since the arrest of its leader, Abdullah Ocalan, in 1998. Spurred on by Ocalan himself, the movement has officially renounced its commitment to an independent Greater Kurdish nation-state, and has come to embrace a program of “democratic confederalism” in its place. It has at the same time come to express a clear and firm commitment to a peace process, despite substantial and ongoing violent provocations by the Turkish state. The leadership of the Kurdish movement had a lot riding on this election. In past elections, they had opted to run candidates as independents in particular districts only in Kurdish strongholds in order to avoid having to cross Turkey’s extremely high 10% threshold for representation (established by the military after the 1980 coup). However, this time around, they decided to run the risk, hoping to pass the threshold and presenting candidates as a party throughout all of Turkey, by joining forces in coalition with the Turkish left as well as with other marginalized groups and ethnic minorities including Alawites, Alevis, Armenians, Arabs, Assyrians as well as the lesbian and gay community, feminists, and labour and environmental movements, all under the umbrella organization of the HDP. The heroic defense of Kobane in the Kurdish region of Syria did much to boost the image and morale of the Kurdish movement, especially in and around the Kurdish capital, Diyarbakir, but also to a certain degree even throughout the rest of Turkey. Simultaneously, Erdogan’s open hostility to the plight of the Kurds in neighboring Syria has done much to sour his popularity among devout Kurds, who had previously sympathized with him as a fellow Muslim. The corresponding surge in popular support for the HDP has been responded to with intimidation and violence on the part of the Turkish state and the AKP government. The prospects that HDP representation in the Turkish Parliament would block Erdogan’s ambition to introduce a new presidentialist constitution helped fan the flames of this animosity, resulting in a climate quite unpropitious for freedom of expression as well as widespread concerns about the possibility of electoral fraud. Throughout the campaign, HDP election offices, bureaus, and activists were the targets of harassment, intimidation and violence on over 170 occasions. Indeed, during our brief stay in the country, we witnessed murderous provocation up close in Diyarbakir twice: first, at the HDP’s final election rally on Friday, where bomb explosions killed 3 and wounded over a hundred; and second, two days after the election, when 3 HDP supporters were gunned down at a coffee house that had been used as an election bureau during the campaign. Despite the climate of intimidation and violence, the Human Rights’ activists, trade union representatives, and HDP members with whom we met over the course of our stay displayed consistent courage and restraint, while repeatedly expressing their commitment to both a peaceful resolution to the Kurdish question as well as to a deepening and strengthening of democracy throughout Turkey, even in the face of murderous provocations. In the end, the HDP scored a great victory in the election, surpassing the 10% threshold by a wide margin, winning more than 12% of the vote and 80 delegates in the 550-seat Turkish parliament. The result was received with elation – though tensions still ran high in its wake. 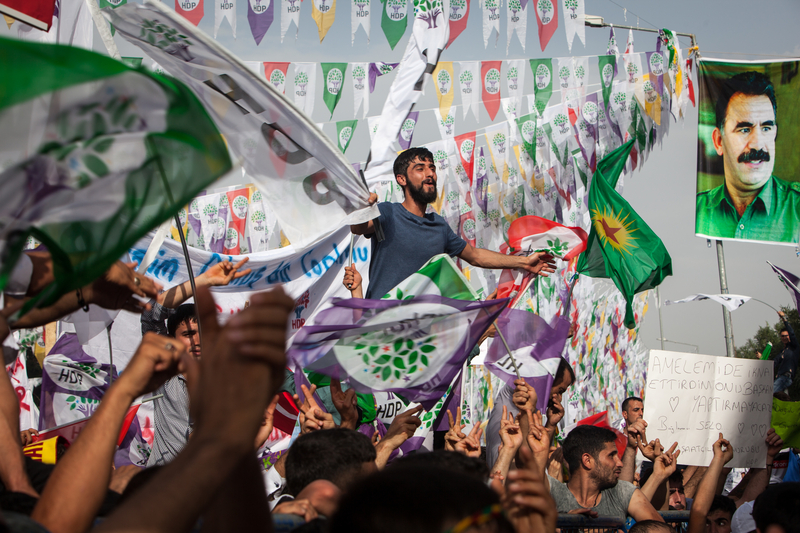 The atmosphere in Diyarbakir the day after the election – where close to 80% of the electorate had come out in support for the HDP – was festive, to say the least. Yet much tension remained, and was clearly on display even at the official post-election celebration, attended by tens of thousands, and held at the same venue where the annual Newroz celebration has taken place ever since its legalization in 2000. Attendees at the post-election celebration had to pass through fully three security checks – one controlled by the police, two by the HDP – in order to access the venue. Amid all the singing and the dancing, barely suppressed by all the elation, more than a hint of nervousness could still be detected, and surfaced for example when a sudden loud boom among the crowd probably caused by a drum was confused for a bomb, causing many to jump. The murder of 3 HDP members the very next morning only confirmed that the election result does not mean a miraculous end to the continuing climate of intimidation and violence. Erdogan has been stymied for now in his ambition to increase his grasp on power, but the AKP remains the number one party in Turkey, with over 40% of the vote. Perhaps even more disturbingly, the country’s third most-voted party was the far-right Turkish-nationalist MHP, which managed to capture close to 17% of the vote. What’s more, it remains unclear whether the AKP will be able to form a stable governing coalition, and so there is talk of new elections in as soon as three months’ time. Nevertheless, the election result on June 7th was a great victory for democracy in the country. 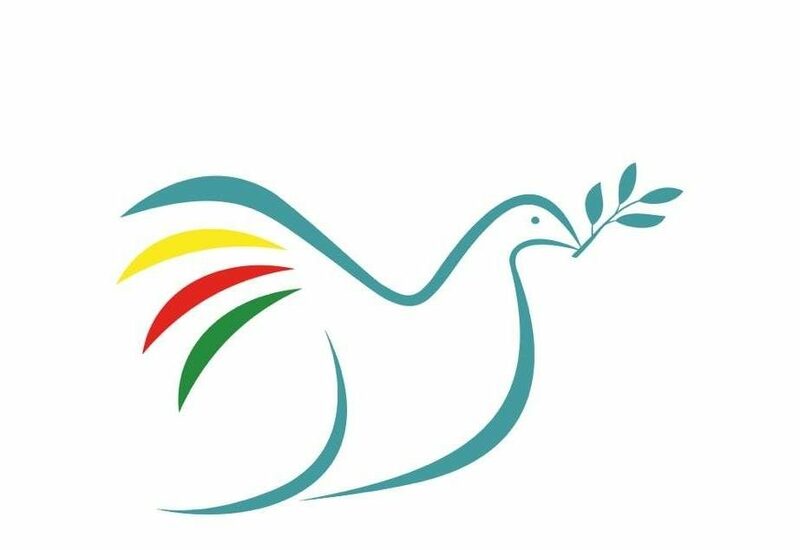 The representation of the HDP in the Turkish Parliament significantly strengthens the prospect of achieving a peaceful solution to the Kurdish question, at the same time that it constitutes an important step in the reconstruction of a united Turkish left.